Portable apps can be taken anywhere with a USB stick and doesn’t need any installation too. They can be directly opened from the pen drive and you can start using the app. Infact most of the portable apps are a bit lighter version of the main software. But like portable google chrome browser, the Avant portable browser also has some great features which you would see in the main installed version too. 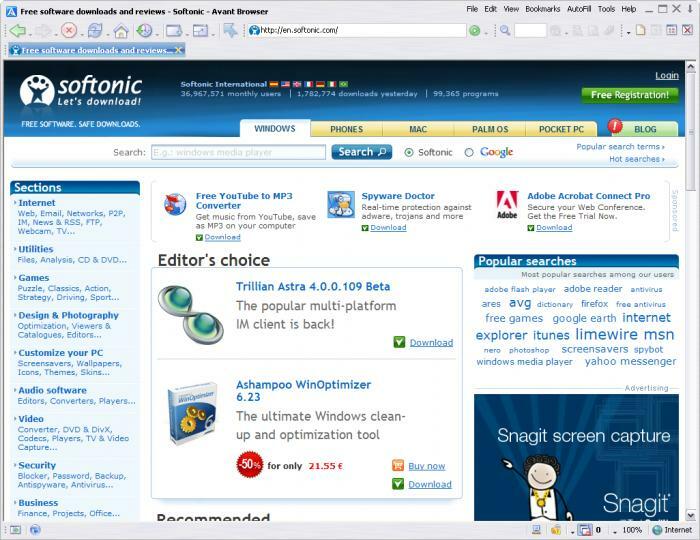 Avant portable web browser would be loved by all the Internet explorer users as its based on it, and is of just 2 MB size, very easily fitted in the USB drive from where one can use it, and it has nothing less than a normal web browser. This browser has built-in translator, support for mouse gestures, a basic RSS feed reader, extensive security options and an online storage service. It supports multiple languages, and also has the tabbed interface which you would see in the latest Internet explorer versions, and if you wish, you can change the skin of the browser. Whatever in my laptop with xp/ie6 or my desktop with win7/ie8, the latest release 2010 build 123 rarely crashes even I keep my system and browser running for 3+ days due to working requirement. If you ever used Chrome, you’ll understand what these ybrowser.exe are for. I choose it instead of Chrome due to its stability and compatibility. Do we need to install the software always when we use it in a new computer? or it is a file that can run directly from the USB drive and do a quick scan of the drive when needed?